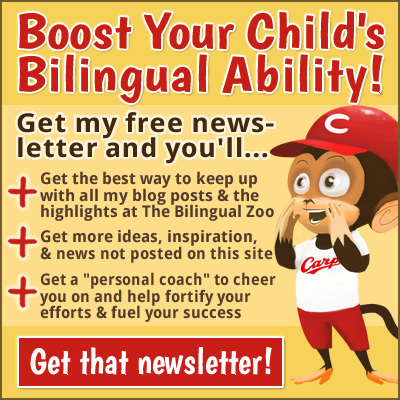 ADAM’S NOTE: As I learned about the efforts Amy González has been making with her trilingual family, through this lively thread at The Bilingual Zoo, I quickly realized that her story could be a source of inspiration for many other parents. 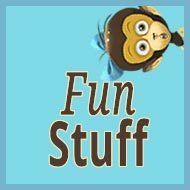 And so I asked her to sum up her experience to share with the readers of this blog, which she kindly agreed to do. 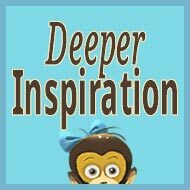 Naturally, every family is working with different circumstances, but the idea of limiting the influence of the majority language is a fundamental challenge for most of us and I think Amy’s encouraging example can help us become more mindful and proactive in ways that suit our own needs and conditions. Thank you, Amy! Amy González is a bubbly wife and mother of two beautiful trilingual girls (French is their majority language; English and Spanish are their minority languages). Her elder daughter is now 4 and her younger daughter is 10 months. 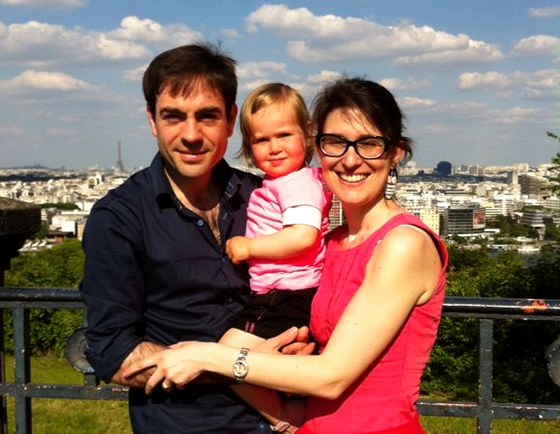 Amy was born in France then raised in Spain, where she was educated in international British schools, before moving to the U.K. She moved back to France for work, over a decade ago, where she met her Spanish husband-to-be. 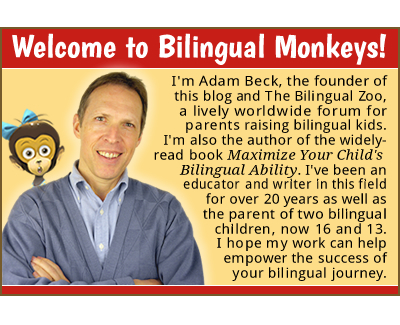 When I joined Adam’s forum, The Bilingual Zoo, I eagerly read about some of the experiences of other parents of bilingual children and the thread begun by James H really struck a chord in me. Despite using the “one person, one language” (OPOL) approach from day one—I spoke English to the kids and my husband spoke Spanish—my elder daughter tended to respond in French, our majority language, especially since starting nursery school, with a little Spanish when she felt like it, and hardly any English. When I read about James’s experience, I realized where we were going wrong: the “flaw” in our situation was the influence of the majority language at home. So, last August, I decided to “kick” French out of our home, as I felt it was becoming oppressive and stifling our minority languages. First, I began speaking exclusively in English at home. And incredibly, within just a day, my elder daughter began trying to reply in English! Right then, my husband and I keenly understood the problem. 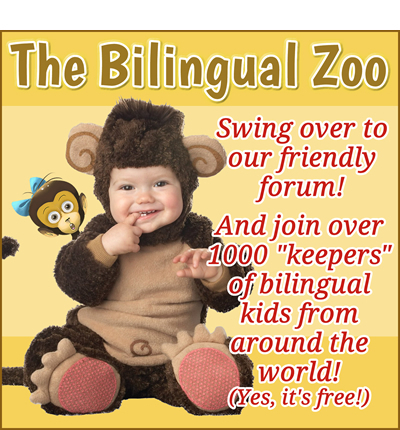 Not only had we been using the majority language at home to communicate as a couple, but after reading and re-reading posts and articles at The Bilingual Zoo and at Bilingual Monkeys, we recognized how pernicious the influence of the majority language was on our bilingual (trilingual) aim. Amy with her husband and elder daughter, before her second daughter arrived and they realized the need to modify their approach. Speaking the minority languages at home was a good start, but living in a majority language country means that that language is always lurking nearby…more so than we might imagine. 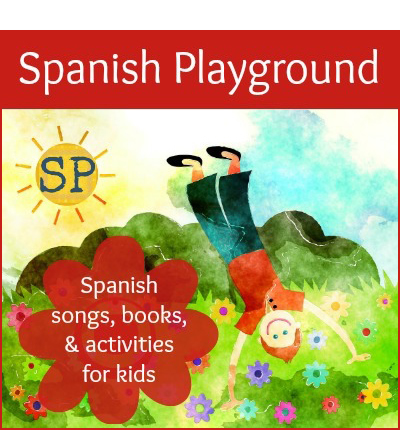 The influence of the majority language at home can be widespread: TV, radio, books from the local bookshop or library, nursery rhymes or songs learnt at school, text on clothing, decorations on the wall, packaging on food…the list goes on and on. When I first started looking at the extent of this influence in our home, I felt rather overwhelmed. 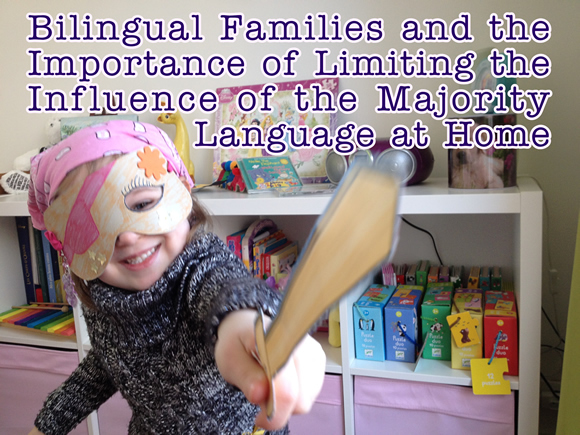 As a parent seeking to raise multilingual children, I was concerned that all this was interfering with our educational goals and I wondered how far I should go in trying to limit this influence of the majority language…and how realistic this would be. As I thought this over, I felt that there would be tremendous benefits to limiting this pervasive influence. It would give our minority languages more chance to bloom. Of course, we live in the majority language country and we can’t help but be surrounded by it, nor do I want to change that—otherwise, I should probably move to a minority language country! On the other hand, we also need to provide our minority languages with the best chance to bloom. For this to happen, we felt our home had to become, at least for now, “majority language free” in order to empower the development of the minority languages. We could slyly expose our daughters to the minority languages. While there was no doubt in my mind that my elder daughter understood our minority languages well, she was reluctant to speak them and one reason was her feeling that English was just “Mummy’s language.” But, I thought, if she could see or hear English from other sources, she could come to feel that English is a natural thing, found all over, and the struggle to get her speaking it would end. An environment that focused fully on our minority languages might unconsciously influence our children to use them and, over time, grow more confident about speaking them. We could create a “counter power” of the minority languages. As a child, I was raised in Spain, but at home my parents (both French natives) would only watch TV in French, listen to the radio in French, read French newspapers and books, etc. 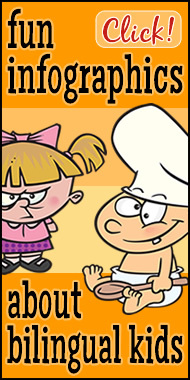 This meant that I was bathed in French at home, 100%, and this had a powerful impact on my own development in French. Without considering it consciously, my parents followed the “minority language at home” approach and it worked. Our French environment at home created a “counter power” to the Spanish and English I spoke at school and out in the community. After discussing these benefits, my husband and I agreed to “kick out” the majority language from our home. We did this incrementally, through a series of five actions. 1. The majority language could no longer be used at home. This new rule applied to everyone, both the big people and the little people. My husband and I stopped speaking French at home overnight. My husband stuck to Spanish and I stuck to English. Because we can also speak the other’s minority language, this enabled us to use these languages all the time and left no need for the majority language. Naturally, my elder daughter, who had always heard French at home (and can be a bit stubborn! ), needed a little help to come to terms with this significant change. And so I gave her a “mission,” contained in a pretty golden envelope. In this envelope were 3 flags, each representing one of our languages, and I asked her to post the two minority language flags on the outside of our front door, to remind her which languages she should use when she walks into the house. And I had her post the majority language flag on the inside of the front door to remind her that, on the way out, she could now switch to using the majority language. As I expected, this idea drew her interest, and when she would start using the majority language at home, I had her look at the flags on the outside of the front door. This seemed to be effective in helping her begin to distinguish the new “domains” of use. 2. We had to change our personal habits, as parents. To kick the majority language out of our home, we had to lead the way and completely change our personal habits. Out went the majority language radio program we were listening to in the morning; in went a minority language program via the Internet! The same happened with TV: We now rely on broadband TV services to get minority language programs, thus replacing our usual majority language shows. We’ve even gone so far as getting minority language books for our own personal reading, immersing ourselves once again in these languages. 3. We’ve undertaken a “spring cleaning” of majority language materials. It won’t be long before my elder daughter learns to read so I thought our home needed a good “spring cleaning” to make it as free of majority language materials as possible. I gave away some of our old majority language books, put away others I wish to keep, and made room on our shelves for more minority language books. I did the same for our CDs and the music on our computer. As we were also in the process of redecorating our flat, we’re treating ourselves to new decorations that make use of our minority languages and letting go of any old majority language things. 4. We’re trying to bathe our home in the minority languages. We’re now trying to create continual exposure to our minority languages. 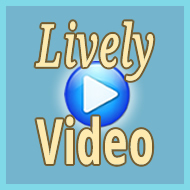 We use Chromecast to broadcast minority language cartoons or TV programs (like wildlife documentaries) on our TV. On our computer I created a playlist for each minority language. We also got our daughter a little music player for her bedroom that holds only minority language nursery rhymes. In this way, she began adding to her minority languages very quickly! And for trips in the car, we have some minority language CDs and audio books. 5. We’re trying to replace the many other majority language things, too. I changed my daughter’s subscription to a majority language magazine with a new subscription to a minority language magazine. I’m even trying to limit the majority language print on food packaging by using glass jars with minority language labels instead. To kick the majority language out of our home, as completely as we can, we’ve had to be very creative and resourceful. While finding adequate minority language materials locally can be difficult, the Internet offers useful solutions. For instance, we can get the minority language magazine online through an overseas subscription. 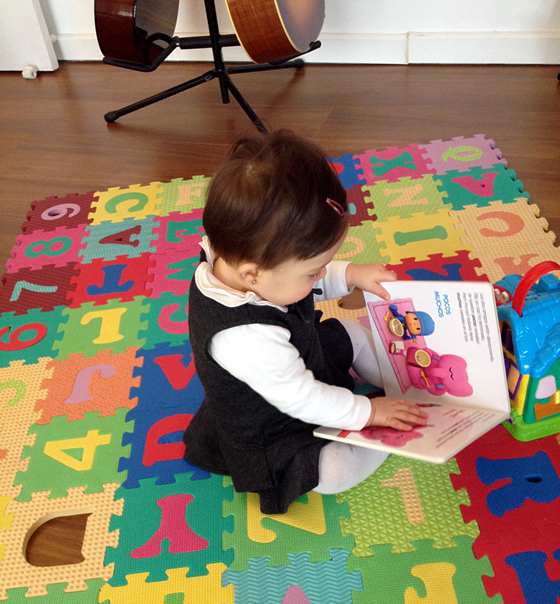 Amy’s younger daughter looks at a minority language book. Of course, we’ve faced plenty of hurdles, too. 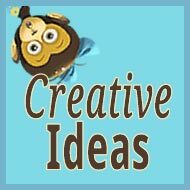 But with a little imagination, we’ve been able to address them or adapt to them. The first hurdle was certainly the fact that my kids like the easy way out. My elder daughter told me that she liked speaking the majority language because it was easier for her, which isn’t much different from a young child who prefers using their hands instead of cutlery at the dinner table, or Daddy’s arms to carry them instead of using their own little legs! But thanks to our new environment at home, I can see that she is gradually developing the confidence to express herself in our minority languages, that her “comfort zone” is expanding and that French is no longer perceived as a way out from the challenge of using English or Spanish. The major hurdle we’ve faced is our majority language schooling. I take a tolerant approach to this, though, as I don’t want to interfere with the curriculum. When my daughter starts singing a nursery rhyme in the majority language, I let her be, but when she finishes, I either guide her back to the minority language version or make an audacious minority language translation. And, by doing so, I can also help her learn these nursery rhymes in English. At the moment, I don’t really have to worry about homework from school, but in time, I suspect I won’t be able to prevent some use of the majority language at home. By then, however, I believe her use of the minority languages with us will be a firm habit and we can counter the time spent on homework in French with homework in English and Spanish, too. One tricky hurdle is majority language toys and gifts. For example, my daughter loved one of her friend’s board games and I felt bad about not getting it for her for Christmas, just because it’s in the majority language. But it occurred to me to search for the name and maker of the game in English, and luckily enough, it existed and I ordered it online. Sometimes hurdles can be overcome through extra effort and a bit of luck. Gifts can be even tougher, since we don’t choose them. Despite my spring cleaning efforts, we still have some children’s books in the majority language that I can’t take away from her—though, as she outgrows them, they can be quietly removed. For our first Christmas as a minority language home, I tried to gently raise awareness among my loved ones about our preference for minority language gifts. Though I didn’t expect much success, one of my cousins, who had first thought of giving an electronic toy in the majority language, instead chose a princess costume; and my mother, who doesn’t speak English herself, gave us some children’s books in English. These minority language gifts were like a present to me, too, and I plan to continue raising awareness in this way for my children’s birthdays and more Christmases to come. Using the majority language at home is unavoidable when we have French visitors or family gatherings. However, even in these cases, we do continue using the minority languages when we speak directly to our children. The fact that I’m the only source of English for my kids is a challenge that I underestimated. The other members of my family don’t speak English, so this input is entirely up to me and I feel a lot of pressure because of this. But like other challenges we’ve faced, we’ll try to be resourceful and we’re currently exploring other sources of input, too, like a weekly English school. Six months have passed since we started our new lifestyle, and my elder daughter is now actively using both her minority languages. In fact, at Christmas, our Spanish relatives were delighted that they could finally communicate with her. So we’ve happily settled into our new habits, and we’re definitely pleased with the progress we’re making. Limiting the influence of the majority language requires proactive and creative efforts, and demands continuous vigilance. Nevertheless, I believe strongly that the more we’re able to bathe our children in a minority language environment, the better. And the efforts we’ve made to kick the majority language out of our home, which began with our concerns over our elder daughter, will hopefully make all this easier for her little sister. How about you? In what ways could you strengthen your efforts to limit the influence of the majority language in your children’s lives? 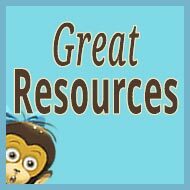 Want to read more great guest posts? 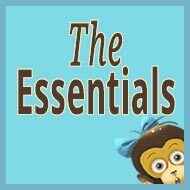 Just head straight to the guest posts category! I loved reading all of this and think what you have done is really great! Your idea about the flags on either side of the door is just fantastic! I can imagine how this would appeal to a 4yo and also makes it so clear what is expected. I have 2 bilingual girls (English/French) aged 4 and 6 and we live in Australia. I also witnessed others finding OPOL was not quite enough exposure (although it works fine for some). So when my girls were very young we both spoke French to the girls. I’m afraid their level has now passed mine! (I am Irish), so we are a OPOL family now but we were ‘minority language at home’ when they were young. It has worked out well for us! Thank you so much for sharing your ideas! I also root for “minority language at home”, whenever possible. The more exposure to the ml, the better. We also kicked German out of our home (ML German, ml French and English), although German was our language as a couple and almost all our friends are Germans and we really think it paid off. May I ask what magazine subscription you use? Thank you for your feedback! Your experience makes me feel even better about having kicked the ML out of our home too! There are also magazine subscriptions you can get via your tablet. We wanted a hardcopy magazine but if you don’t mind the soft copy format then you’ll have an even wider range to choose from! If I may jump in… I subscribe to “Hello” (a “Highlights” magazine from the USA) which is geared to 0-2 or 3; after that there is “High Five” and “Highlights”. I ordered over the phone and it’s shipped to France for about 35 euros all included. I enjoyed reading your article, great idea about the flags on the door! Thank you. Good luck with your efforts. I applaud your determination, Amy! Great post. I have tried limiting ML from our home and failed several times myself. Thank you so much, Undraa! It’s constant work, just keep going and you’ll eventually get there. If that can cheer you up this lunchtime I just found another ML object that had escaped my spring cleaning (not for much longer though 😉 )! It’s like children when they learn to walk, they fall more than once, but they always get back on their feet. Step by step we’ll get there! Great article! I haven’t had to resort to doing this yet!! Glad you don’t have to go to my extreme solution, Tracey. Not that it’s a bad situation but obviously it’s a bit more complicated than cohabiting with the ML. Good luck with your bilingual journey! Thank you so much for sharing this Amy, it’s a wonderful inspiration. My partner and I live in Australia (both Hungarians) and even though our daughter is only 11 months old I have my mind set that she will be enthusiastic about speaking (and reading & writing) in our mother language. It’s all a bit confusing and hard to know what will work but so good to read stories like yours. I’ve sent it to my partner to read! We’ll definitely implement the flag-tag. Thank you again and good luck keeping up your dedication. Thank you for your kind words Virag! When they are that small, children do not have bias as to speaking their ml, from my experience it really came with entering ML nursery school. But every child and situation is different. 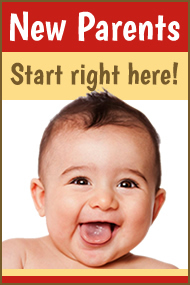 Good look with your bilingual journey! I love the idea of giving your oldest daughter an important “mission” to post those flags on the door as a symbolic first step towards changing her language behavior at home! Brilliant! Fabulous story and so pleased for you that you have been able to implement it. Already you underline how vigilant you have to be and what hard work it is; imagine if your ml was not English/Spanish! For some families the ml is that rare that finding resources is nearly impossible, even so if they can’t travel to the ml country. Also, you and your partner both understand the difficulties of learning another language and are both supportive of the concept. I just wanted to underline these as some people might read the post and feel deflated as to why they can’t implement the same. We can only try our best but certainly never give up! Thank you for your kind comments, Nat. You are absolutely right, we are very fortunate in having ml languages that are so widely spoken and hence with easily accessible resources. Another key point you emphasised is the mutual support between the parents. My husband has been my rock throughout this adventure. There are circumstances we can’t control, but we can still try our best and keep going. By giving up, we are sure to fail; whilst by never surrendering in front of challenges, we still keep a chance of success, no matter how tiny it might seem. Wishing all the best to all of you on this bumpy journey.